Welcome to the resources page showcasing the FlowCam imaging flow cytometer technology for phytoplankton and zooplankton analysis. Here you will find articles, methodologies & case studies, customer profiles, published research, posters, brochures and blog posts on how the FlowCam has been used for phytoplankton and zooplankton analysis. Visit the Phytoplankton & Zooplankton Analysis page for an explanation on how the FlowCam works and which instruments used for this research. 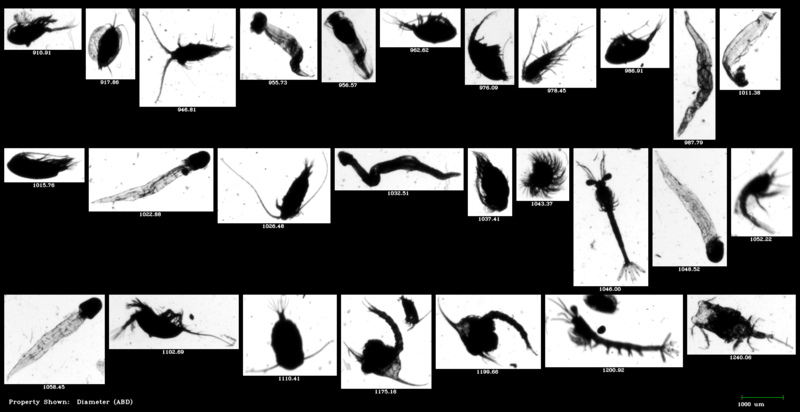 Zooplankton from the coast of Zanzibar imaged by the FlowCam Macro.